NASA astronaut Robert Curbeam works on the International Space Station’s S1 truss during the space shuttle Discovery’s STS-116 mission in Dec. 2006. 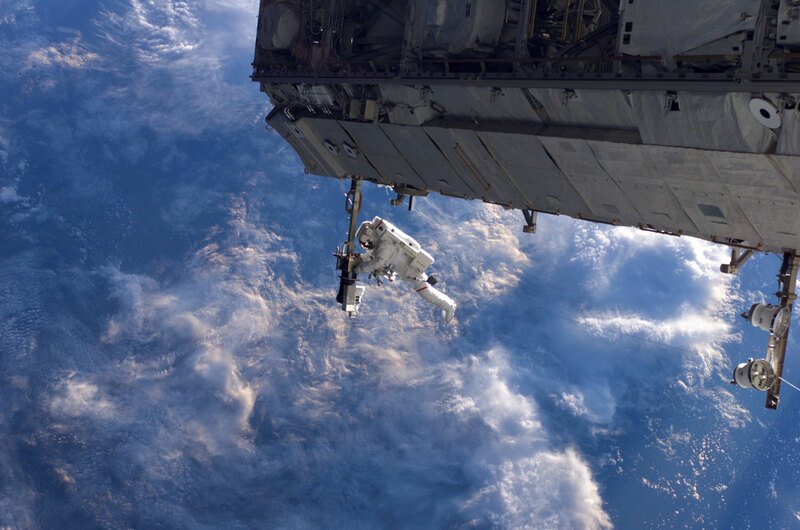 European Space Agency astronaut Christer Fuglesang (out of frame) was his partner in the 6-hour, 36-minute spacewalk. During Discovery’s mission to the station, the STS-116 crew continued construction of the orbital outpost, adding the P5 spacer truss segment during the first of four spacewalks. The next two spacewalks rewired the station’s power system, preparing it to support the station’s final configuration and the arrival of additional science modules. A fourth spacewalk was added to allow the crew to retract solar arrays that had folded improperly.